Books 1-3 in the series! Wicked Lords require a special hand when it comes to taming them. These lovely ladies are up for the challenge. But the more time they spend together, the harder their attraction is to deny. Can her gentle tenacity unlock a duke's heart? Lady Tricia Riley is the sweet daughter of a duke until her family's ailments force her to breech societies' dictates and go where no lady should… the docklands. When a tall, strong and handsome stranger helps to keep her safe, she agrees to keep their meeting, secret. She's no interest in marrying a tall and darkly handsome stranger. Actually, she has no intention of marrying at all. Instead, she plans to dedicate herself to charitable pursuits. Ryker Pembroke, Duke of Landon, will marry eventually, as duty requires him to do. But it is a fate, he regards with a certain amount of dread. That is, until an auburn haired minx bursts into his life. Her warmth, charm and giving nature draws him to her even as he attempts to maintain a safe distance. She is entirely wrong for him with her impulsive nature and blatant disregard for her own safety makes her a terrible choice for a wife… doesn't it? A mysterious man saves her life but can he save her heart? Lady Eleanor McIntyre has been forgotten by society, unloved and left to ruin by her father. But just when she is at her lowest, she crosses paths with a mysterious man who saves her. It is like a miracle but even more shocking is that he needs her help to find his lost sister. Lord Matthew Evans, the Duke of Harlington, has an excellent reason for hiding his title from the lovely Ella. The only woman he had eve loved cared far more about his position than she ever did the man. Ella is too beautiful to be trusted with the knowledge he is a duke. But the longer he knows her, the more he wishes he hadn't deceived her. Because as pure as her heart is, she could surely never love a man who lied about his identity. What is better than one wicked lord? Three of them and you have their story in this amazing box set! If you have ever read a book by Tammy Andresen you know you are in for a treat. If you have not, trust me, you will be addicted once you read just one of these! This story was entertaining from beginning to end, but what else would you expect from a Tammy Andresen book? What was great is that it is story that contains a character from the The Earl of Sussex in the popular Wicked Earls series. Our heroine, Lady Trisha Riley's life had seemed somewhat ideal until her cousin went missing. Setting out on her own, she ends up in a very dangerous side of town at the docks. Of course that is no place for a lady and trouble soon confronts her but she is lucky to be rescued by none other than Ryker, Duke of Pembroke. Of course he was disguised as a commoner due to trying to find someone and comes upon Trisha. From here on out after their initial meeting, Ryker could not get his thoughts off her and what follows is a story with touches of intrigue, a little danger and of course romance. Even though a shorter story it is an enjoyable read that you will be glad you picked up. 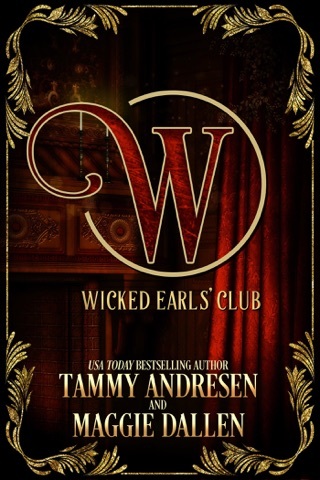 Tammy Andresen's well drawn characters easily come to life in this next installment of the Wicked Lords of London Series. Not given love by his father and left by the woman he did love, Matthew, the Duke of Pennington holds tightly to his emotions. His main desire is to find his sister who had been missing for two years. Lady Eleanor McIntyre was a kindred soul, having been left destitute by her unloving father and was trying to earn money working in a tavern. By a touch of fate, Matthew saves her as she is assaulted and carries her home. So what could possibly happen now? Ella is able to help Matthew in the search for his sister but she does not realize he is a Duke. He agrees to help her find a position once she aids with his search. But as Ella shows her true nature as a kind and gentle lady, his emotions come into play and he struggles to trust her enough to let her into his heart. Will the two be able to find a happy ending together? Will he find his sister alive and what will happen after that? A beautifully written emotional story that will pull at the heart and leave you wanting more from this amazing author. 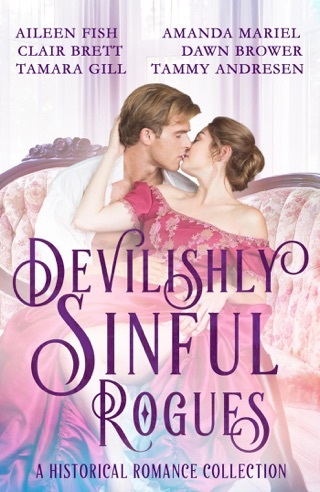 If you love historical romance, you will be glad you read this novella and every book that Tammy has written! Cannot wait for the next in the series!! !